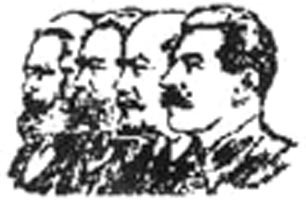 This site contains translations into English (and some into Spanish), as well as some reprints in the original language, of materials from Marxist-Leninist Parties (as well as some other revolutionary or progressive organizations) around the world. This site is not the official site of any of these parties, but is meant to share with English (and Spanish) speaking readers some of this material that may otherwise not be available. The positions expressed in the material are those of the authors, and not necessarily those of the web-site administrator. To find material by country, please visit the list by countries on the left. If you have visited this site before, please visit the "What's New" link on the left, which is in order by date of posting, with the most recent articles on top. Request for translators. To be able to update this site regularly and add new articles of current importance, we need help from anyone who can translate into English (or Spanish) from any language, but particularly from Italian, German or Russian. Translators do not have to write perfect English (or Spanish), since we can make corrections here. Click here to contact the site administrator.